Chia seeds are truly amazing and offer many different health benefits, including the promotion of healthy skin, proper digestion and detox, the building of strong bones and increased energy, and the prevention of heart disease and diabetes. 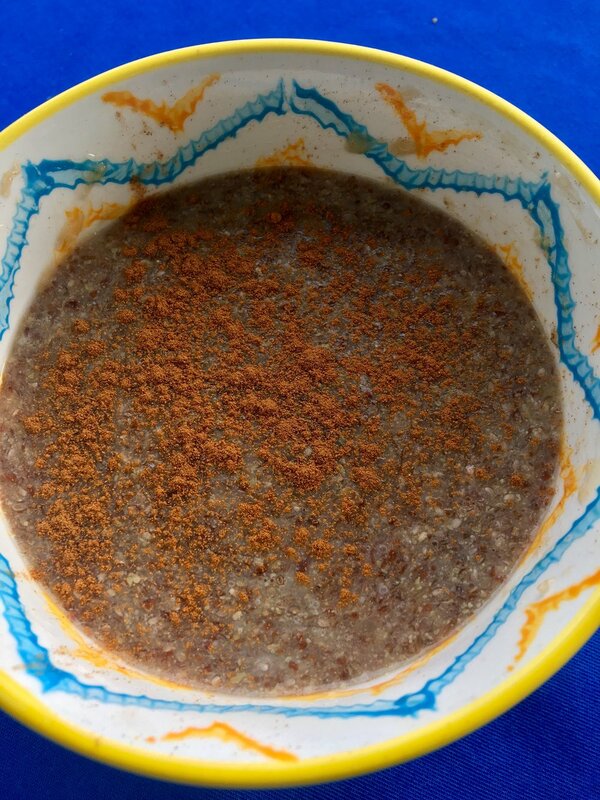 Add mashed banana, flaxmeal, chia seeds, cinnamon, and sea salt to a medium sized mixing bowl and mix to combine. Top with just boiled water or milk and stir until incorporated and thick. Transfer to 2 serving bowls.